wowmoredeals has no other items for sale. Most compatible and cost effective FIOS router. This router is truly needed to get the best out of your FIOS service without breaking the bank on one time or monthly rental charges. It is also easier than trying to find and set up other FIOS compatible routers which are not officially supported by Verizon. Features are great for it's class and is fairly easy to configure if you are not an IT person by trade. This product was well worth the cost. 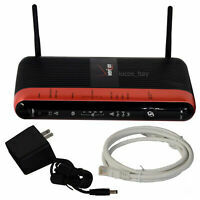 Although Verizon promotes this as their top[ line router, it has no external antennas and the range is poor. True both for 2.4 and 5.0 bands. And even at 30 ft away I kept losing the signal. Plus it would not let me flash the firmware even though it was Verizon labelled.. By the war if you buy one that is from Frontier, you also will not be able to flash the firmware to get the latest Verizon features. Verizon disabled this for the Frontier units.Best to buy a aftermarket router that is ac1900 or better. If you need the coax cable for the Verizon FIOS TV, (MOCA), then disable the WIFI on your old Verizon router using the admin portal and going to settings, and hook up an Ethernet cable from one of the 4 ports on the aftermarket router to the WAN port on the Verizon router. Otherwise you lose the menu and widgets. Best modem for Apple products! I have 2 iMacs, iPhones and iPads and had 2 brand new Netgear modems from AT&T that would not work with the Apple products. Kept disconnecting when on wireless and would always say cannot connect to the network. This never happens with the Motorola. 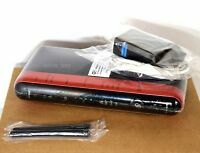 Be sure the Motorola modem has the red sticker on the top and the stickers on the bottom with the Access Code and WEP key. If the modem does not have those stickers on it I wouldn't buy it. This is a Frontier router that is not 100% compatible with Verizon FIOS. The description of this router is false. It's a Frontier router that is not 100% compatible with Verizon FIOS. 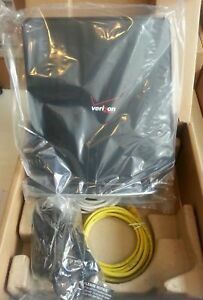 Verizon on TV screen Call ID feature does not work when using this router and the seller has recognized it. This is the seller's response to my request: "I don't think I'd be able to guarantee that the firmware would be Verizon.". The problem is that I have already returned my real Verizon router back to the Verizon store and I have lost my $5 monthly discount that Verizon had provided me for renting its router. Contrary to what a lot of folks think, this or any other Fios routers can be used on non-Fios systems with a properly installed MoCA POE (Point of Entry) or Whole Home DVR filter. All that you need do is run the Ethernet cable from the cable modem to the WAN port on the router. If you want to use MoCA for Tivos or just general networking in your home, This router is actually a bargain in that regard because it offers MoCA 2.0 which is what the current generation of high speed MoCA devices use.